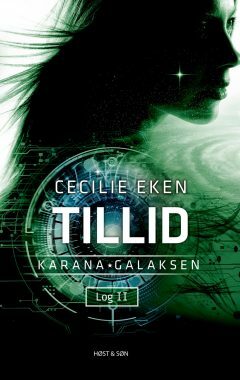 This is the website of Cecilie Eken, Danish writer of literature for children and young people. 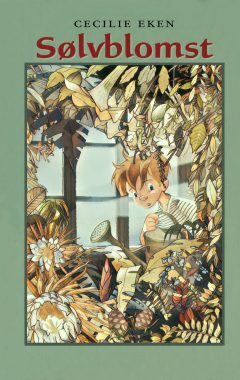 My first novel was published in 1993 when I was only 23 years old, and since then I have written around 30 books, some are stand alone novels, some are series, some are picture books in verse. They all have my double love of dramatic action and beautiful language in common. Many of them contain some kind of magical or fantastic element since I easily get bored if I have to write about a completely realistic reality. Not to say that my stories are unrealistic – they just talk about the reality of our modern life in a different way. 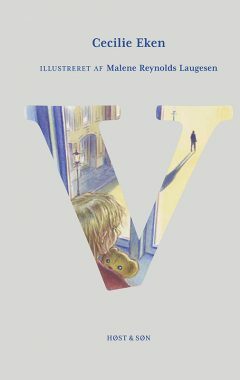 Also, you might have seen my name in connection with a free book, Aunt Stella’s House, handed out by the Danish clothes company Name it as a gift for Christmas 2017. If you want to read some chapters of my book The Adamant Sword in English – see below. If you want to get in touch with me via e-mail go to ‘Forside’ and press … “eller send en mail til Cecilie Eken” – you’ll find it at the bottom of the page to the right. Gyldendal Group Agency – link here. 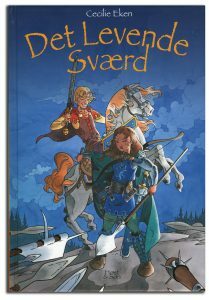 Thanks to a very kind Danish-Canadian woman, Mrs. Jette Kjær Buffet, I’m able to give you a little taste af my novel for children The Adamant Sword (Danish: Det Levende Sværd) in the form of an English translation of the first three chapters. The Adamant Sword is the first book in a series of four. Only the first ten chapters have been translated. All rights belong to Mrs. Buffet of course. Wet. Soaking wet. So wet my clothes need wringing. And it’s all King Leopold’s fault. The idiot! Sends me off in the worst possible weather. His daughter can go hang, for all I care. Princess Sofia is as crabby as a crab-apple. Crabby and spoiled. Crabby, spoiled, and soon the dragon’s dinner. If I don’t find a hero, that is. So here I am, riding along with the rain running down my back. Can’t feel my fingers or my toes. A hero. Where can I find a hero? You can’t buy them at the market. Though it would be nice. « Capital Heroes – Heroes for Any Occasion!». I need a hero who can slay dragons. And quickly, if you don’t mind. Time is running out. But heroes are hard to come by. As King Leopold very well knows. Good heroes easily get killed. Fighting for justice. Fighting dragons. Fighting evil tyrants. They die like wasps in the fall. A short, sweet song and then: bye-bye! I hate King Leo. Of all his warriors, he had to pick me. Because I am the best. The king has over a hundred men-at-arms. I can beat every last one of them. Never mind that most are at least ten years older than me. I had the guts to talk to the dragon. They didn’t. He should take better care of me. Towards evening the wind settles. Now it’s only raining. I find shelter in a cabin at the edge of the forest, ancient and abandoned. Luckily the roof is not leaking. I pull my horse in behind me. Dry wood has been left by the fireplace, greetings from a fellow traveller. Not everyone is a fool I guess. First, I light the fire. Then I undress and find some dry clothes in my pack. Wipe my horse down and feed it. Polish my chain mail and my sword. It helps to get some food in my stomach. I stare at the flames. Warmth and well being almost make me drowsy. In a start I am on my feet. Time to train! Mustn’t let myself get stiff or slow. I draw my sword, I let the blade soar, do some footwork, spin around. I was six years old when my father first trained me. His only child: a girl. What a disappointment. But he learned to live with it. And I learned to become a warrior. My grandfather was weapons master to King Leopold’s father. My father was weapons master to King Leo. The greatest warrior in Westland. Now my father lies dead. And I have taken his place. In the throne room I swore my allegiance. But I hate King Leopold. I’ll find him his hero. Then I’ll be on my way. At dawn I am on the road again. The last trails of rainclouds have drifted north and the sun is shining. Beree, the free market town by Broad River, is a good place to begin. A town that loves a good fight. The tournament ground is packed all summer long. Strong men come here from near and far. I ride into town through the west gate. The narrow alleyways reek of urine and rubbish. Just as they should. At the inn I am given a room facing the street. They stare at my scars, my long hair, and my weapons. What else is new? I pretend not to notice. A girl around ten shows me the way upstairs. She looks as scared as a mouse between the claws of a cat. « Is there a tournament on tomorrow? » I ask. That sounds good. The winner will probably do. I ask her to bring some food up to my room. While eating, I look out the window and wonder about Princess Sofia. Wether she is still alive. The dragon is clever enough. It wants all King Leopold’s gold in exchange for her release. But King Leopold wants to keep his gold and have his daughter back. So the dragon of Black Mountain must be killed. The dragon is waiting for the King’s answer at this very moment. It has taken refuge in Wintercavern near Whitefalls. Every day it eats six oxen. The King has until Midsummer. Unless the dragon loses its patience. Then Sofia will never run around picking flowers again. By herself. She laughed at me. A shepherd saw her with a wreath of daisies on her head. More lovely and radiant than all King Leopold’s gold. But on her way home at dusk she was overtaken by the dragon. Too bad. The next morning I walk down to the tournament ground. The men are all getting ready. Muscular arms bend and stretch. The sun sparkles on shields and helmets. Hardened warriors, most of them. A few beginners, with faces as white as sun bleached linen. None of them look like heroes. The sound of fanfares. The foot tournament is about to begin. The contestants fight one to one inside an enclosure of ten feet by ten feet. Not a pretty sight. The audience whoops and shouts enthusiastically. I cringe. Those fighting practically trip over their own feet. Several look like they’re drunk. Finally, a broad shouldered, grey haired man steps forward. Ugly as a toad. His chain mail has seen better days. But he can fight. Breaks a young man’s thigh. Wounds another warrior in the arm. I don’t like his methods. Even when his opponent is down, he keeps striking. They beg for mercy. He continues. In the end, he is the victor. People applaud and acclaim him. The leather purse with silver coins is his. Not exactly the type I was hoping to find. But I suppose he will have to do. I don’t have time to be picky. The toad takes his silver and leaves with his friends. I follow them over to the beer tent. He buys an entire barrel of beer and quickly downs two tankards, one after the other. Friends crowd around, yelling and laughing loudly all at once, as if they were the winners. I walk over to their table. They all look up and stop talking. He looks me over with half-shut eyes. He points to King Leopold’s blue lion on my surcoat. « Aren’t you a little young? » Toerk grumbles. He pats the bench and yells for a mug for me. Reluctantly, I take a seat next to him at the table. A fair haired boy comes running and fills up a clay tankard for me from the barrel. « Well, let me hear it then, weapons master ». « It’s for your ears only ». Toerk signals to his friends to move away a little. Then he leans towards me. He reeks of sweat and dirt and beer. « King Leopold needs a hero who will save his daughter, » I explain. Toerk hesitates. He appears to be thinking. Amazing, if he is actually capable of that. « How much? » he grunts. Putting my lips right up against his ear, I tell him. No one else can hear. Toerk opens his mouth, practically drooling with surprise. Then he brings his fist down hard on the table. He fills up his mug again. I have to drink with him. « Tell me a bit more about the reward, » Toerk demands. « Listen, weapons master … how about giving me an advance? « An advance? Didn’t you win enough money today? I feel his hand sliding up my inner thigh. For a second. Then I grab him by the wrist. I jump up. Twist his arm around. Smash his head into the table, beer spraying all over the place. People move aside in front of me. Only a couple of stupid drunkards stagger by, not looking where they are going. I have to stop myself running into them. Toerk catches up to me and grabs my arm. I hit him squarely in the jaw. Several teeth go flying. What a …!